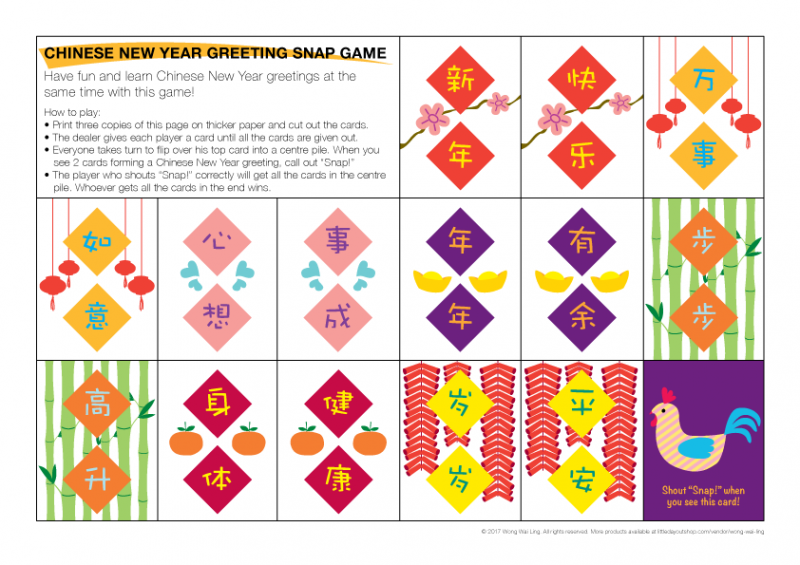 Little Day Out Shop contributor, Jacqueline Zhang, has launched a printed compilation of four of her bilingual activity packs. 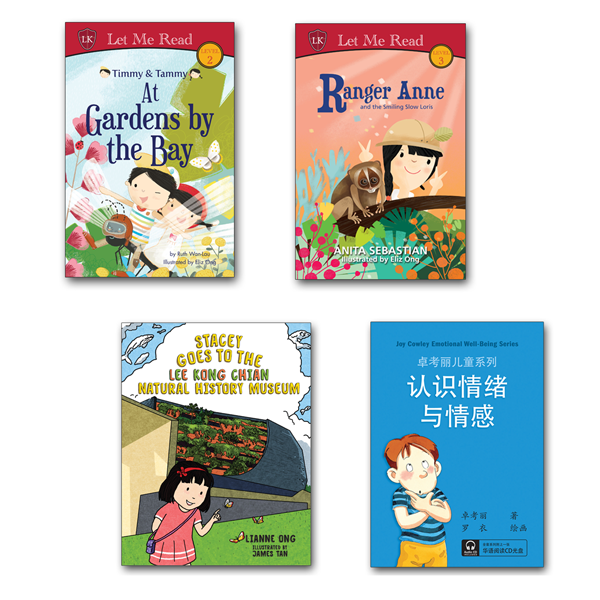 Titled My Bilingual Preschool Activity Packs, it includes the popular Ji Fan, Exploring My Neighbourhood, How Much Is It?, and Jacqueline’s latest product Where Is It? 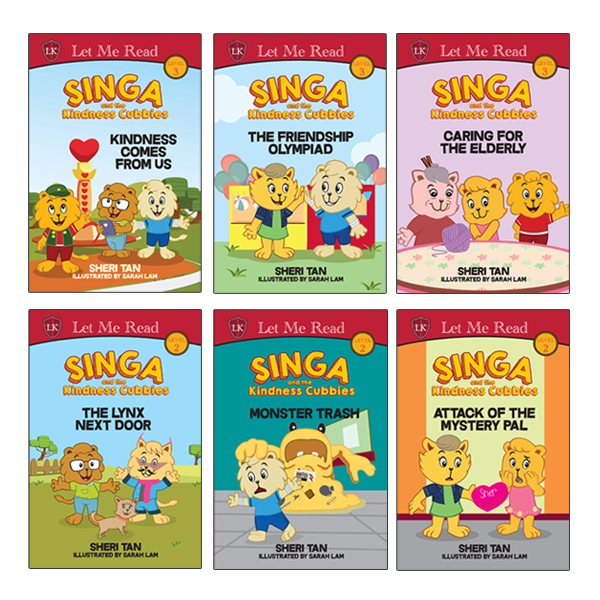 The compilation is available in black-and-white print, full-colour print, and full-colour print with lamination of activity pages at the launch prices of $10, $20, and $30 respectively. 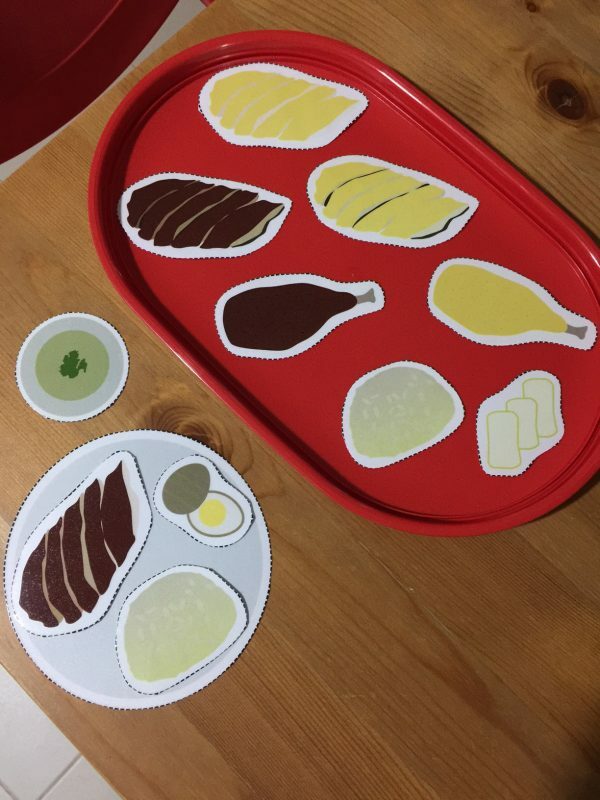 “I know how busy parents can be, and I wanted to make it as convenient as possible for parents to use the activity packs with their children,” said Jacqueline. 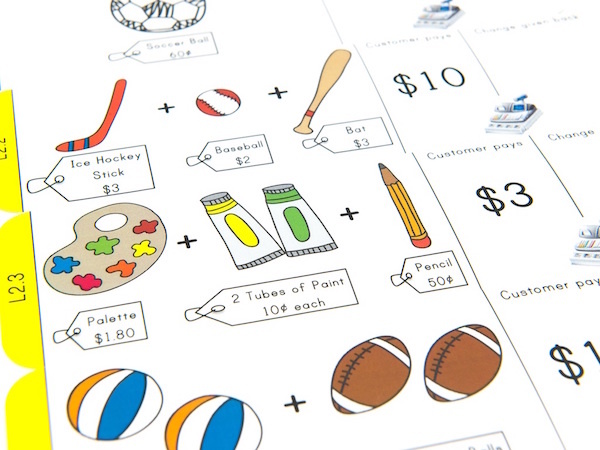 To save parents precious time, she decided to offer printed versions of her activity packs through this compilation. Her greatest wish is for “children to enjoy learning from their parents” and “parents to spend quality time with their children too, as they work through the activity packs”. 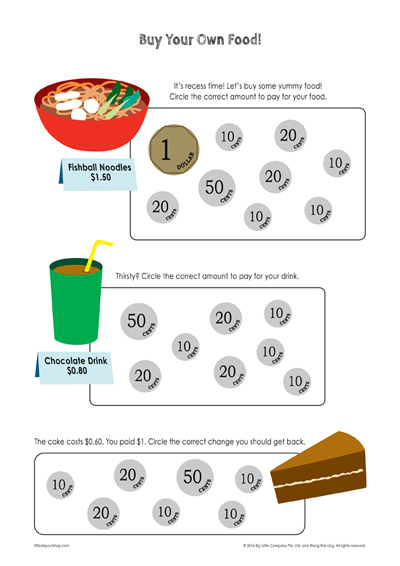 Order chicken rice the way you like it using the cut-outs of ingredients and an order form in Ji Fan. 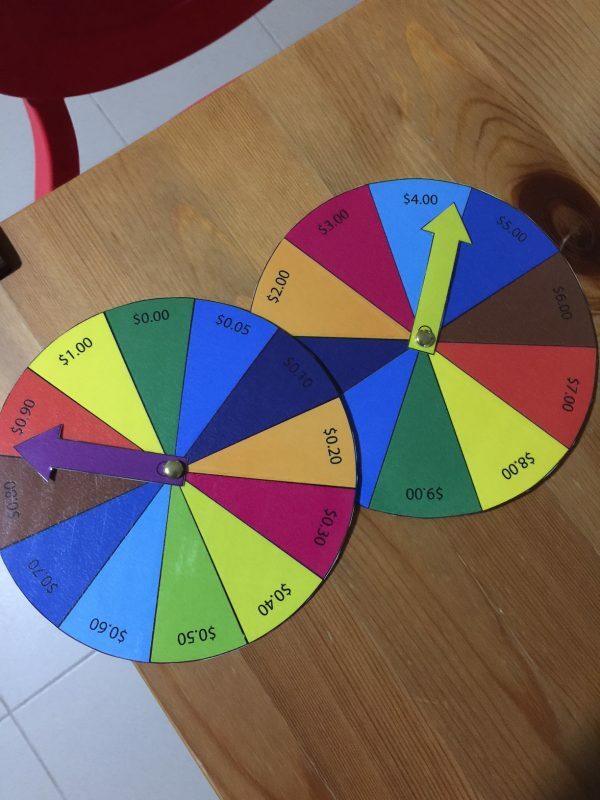 Spin the wheel, tell the cost in English or Mandarin, and pay the correct amount in How Much Is It? 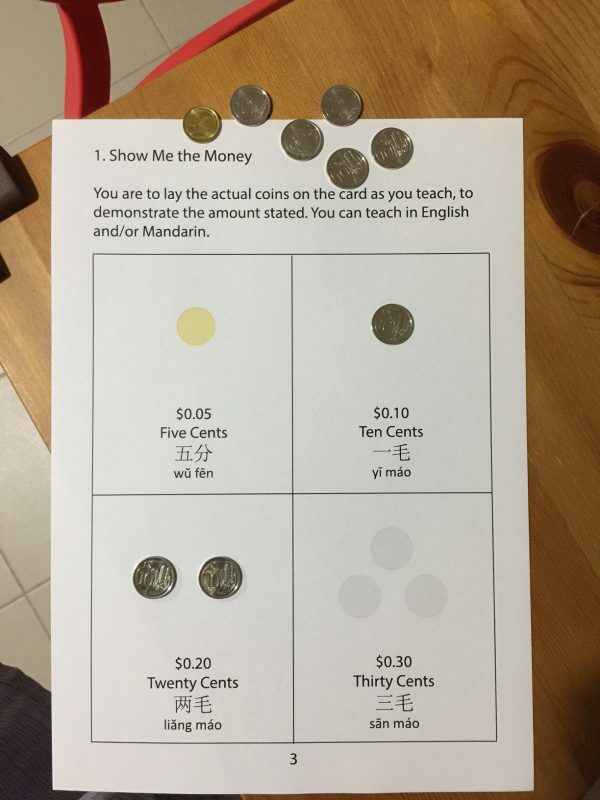 Learn the value of money using actual coins in How Much Is It? 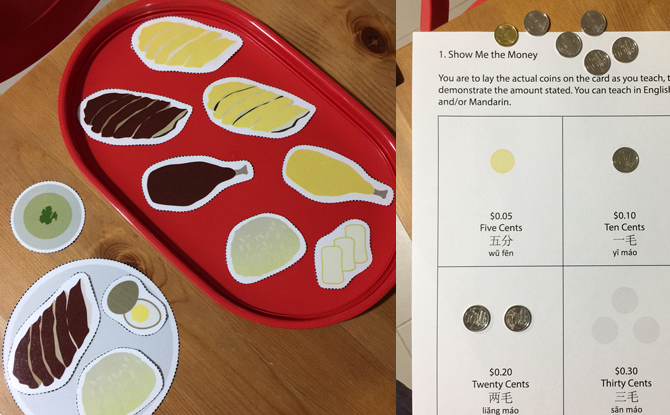 Ji Fan teaches children how to order their own meals in both Mandarin and English through a role-playing game complete with cut-outs of ingredients for chicken rice and order sheets. 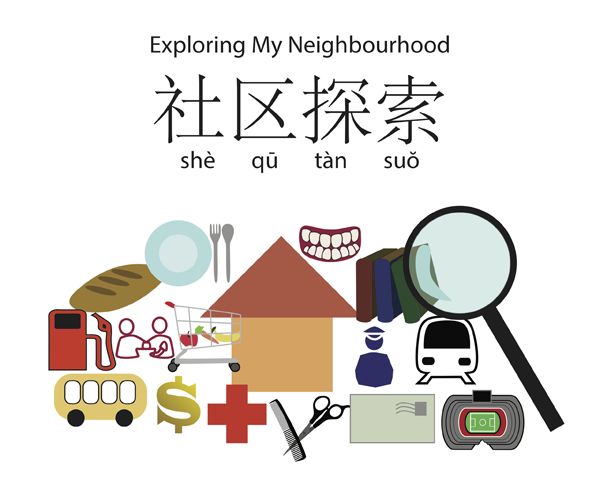 Exploring My Neighbourhood aims to acquaint children with their neighbourhoods, helping them learn the terms for key facilities and services in the community in both English and Mandarin, and initiating little adventures in the vicinity. How Much Is It? 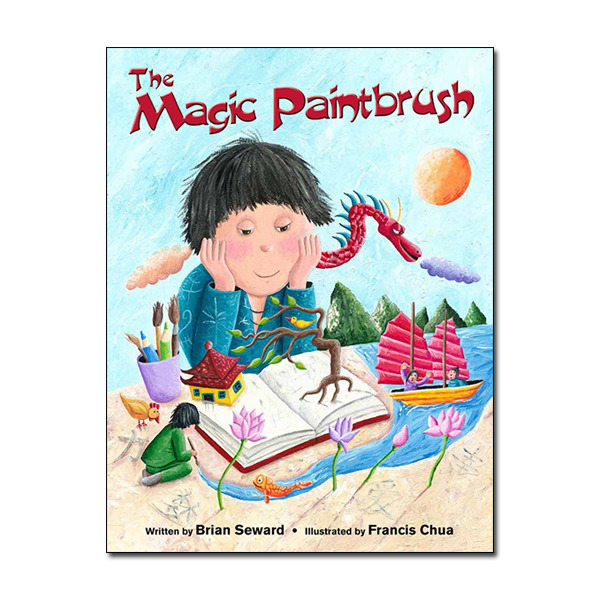 helps children understand and articulate the cost of items in English and Mandarin in three systematic levels of learning, through fun activities and practical applications. Where Is It? 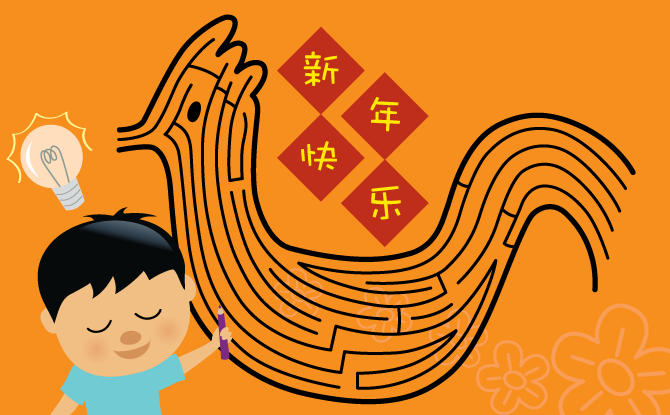 teaches children how to describe where things and places are found in both English and Mandarin, through games and simple visual guides. Jacqueline has contributed 12 products to Little Day Out Shop since its launch in June last year. 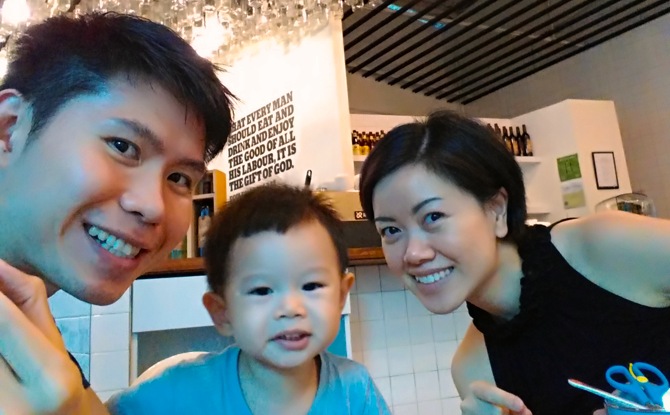 She is no stranger to curriculum creation, having worked as a secondary school teacher and with the Ministry of Education before the birth of her son, Reef. 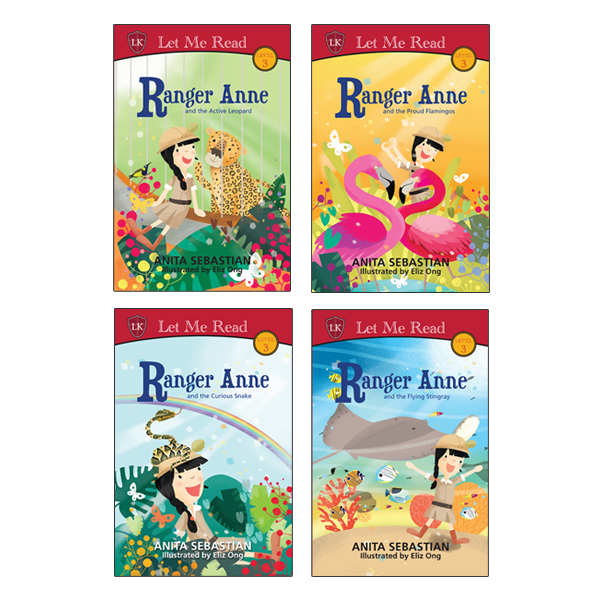 Her ideas are brought to life through the artwork of her good friend, Angeline. 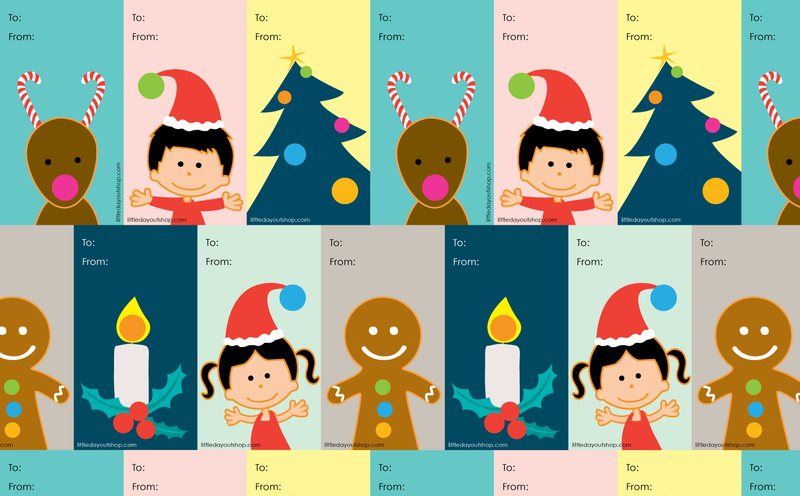 Jacqueline’s products are inspired by her interactions with her son and nieces. “If I notice life skills that they need to learn or improve in, I want to find ways to help them acquire these skills,” said Jacqueline. 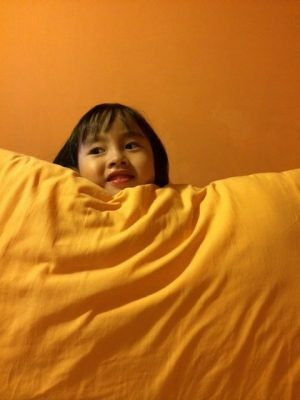 With this mindset, she comes up with unique activity ideas that cover everyday topics like food and the neighbourhoods we live in, introducing kids to the world around them in fun and creative ways. 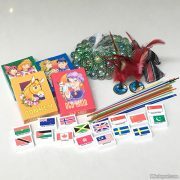 She adds the bilingual element into her activity packs to give children more exposure to the Chinese language. Did you know that it’s Grandparents’ Day on Sunday, 27 November? 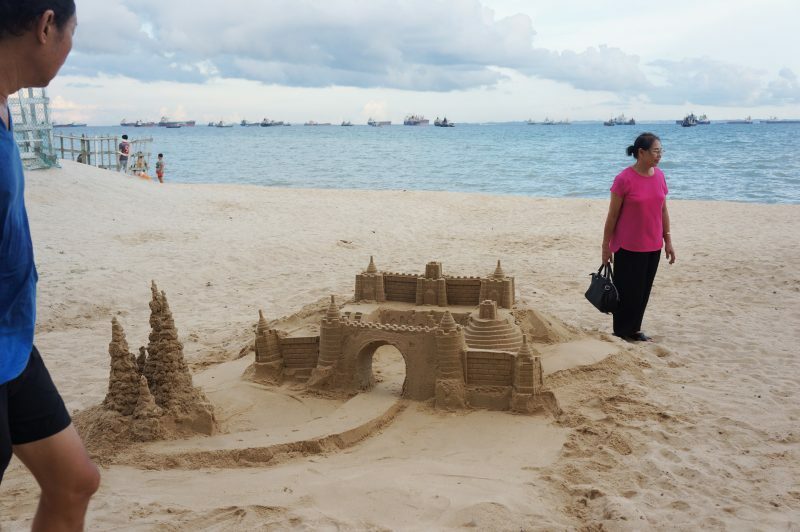 Though this occasion isn’t as widely celebrated as Mother’s Day and Father’s Day, it has been officially recognised in Singapore since 1979, one year after the US started. 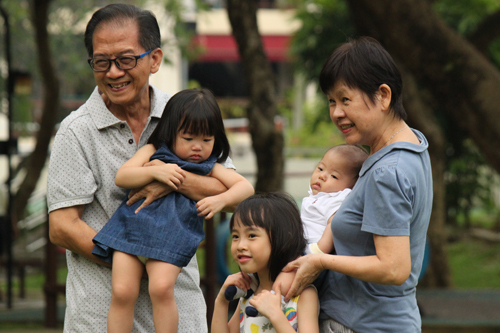 In Singapore, Grandparents’ Day is celebrated on the fourth Sunday of November. It doesn’t need to be an elaborate studio shoot. You can get the grandparents and grandkids together doing something that they all enjoy, and capture their moments of interaction on your camera. Have the photos framed up, or for a special touch, have them printed on canvas and hung on the wall at the grandparents’ home. Tip: Use a telephoto lens so your subjects won’t feel that the camera is in their face. You’ll probably be able to get more genuine candid shots this way. Grandparents love to spoil the grandkids. 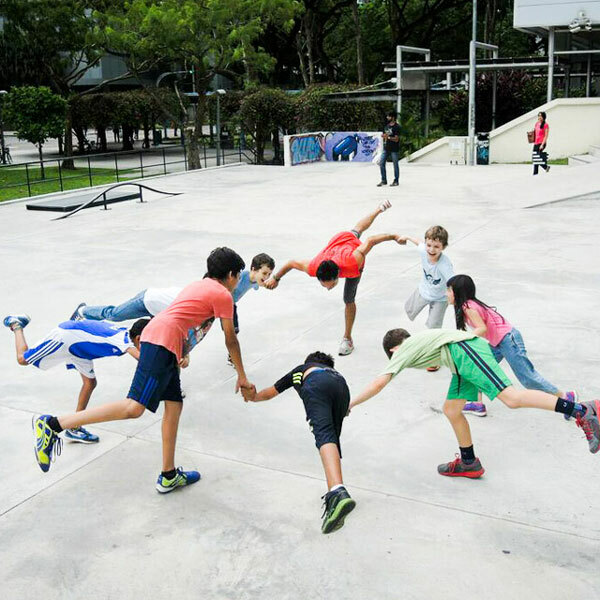 Give them the opportunity to do so (without being under your watchful eye) by sending the kids over for the day and letting them stay overnight. Let the old folks plan their own programmes with the little ones. You get some kid-free time; they get their kid-filled day (and night). Everyone’s happy! Sometimes, children may find it a little hard to communicate with their grandparents. After all, they are many years apart. And for many busy families, the kids do not get to spend much time with their grandparents. You can help to bring them closer by giving them conversation topics. 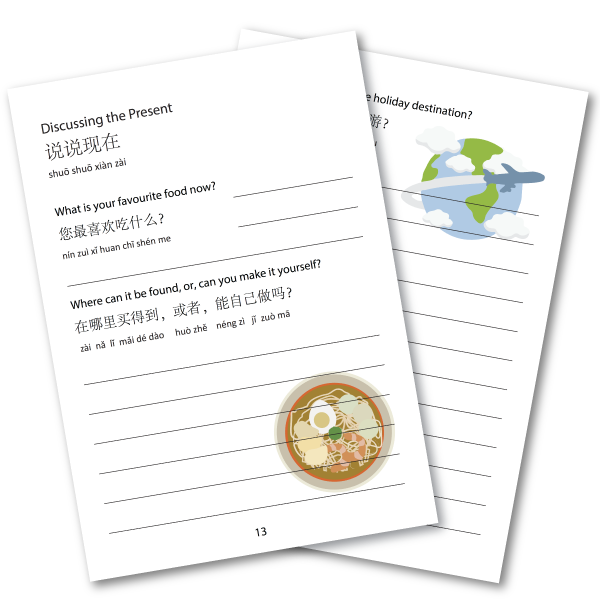 Using the Conversations with Grandma journal from Little Day Out Shop, children can have meaningful interactions with their grandparents by following the conversation cues found in the book. They can then record what they have learnt about their grandparents on the beautifully designed pages of the journal. Conversations with Grandma, available from Little Day Out Shop for $2.90. Getting to know the grandparents better – check. Improving conversational and written skills – check. Collecting precious memories – check. 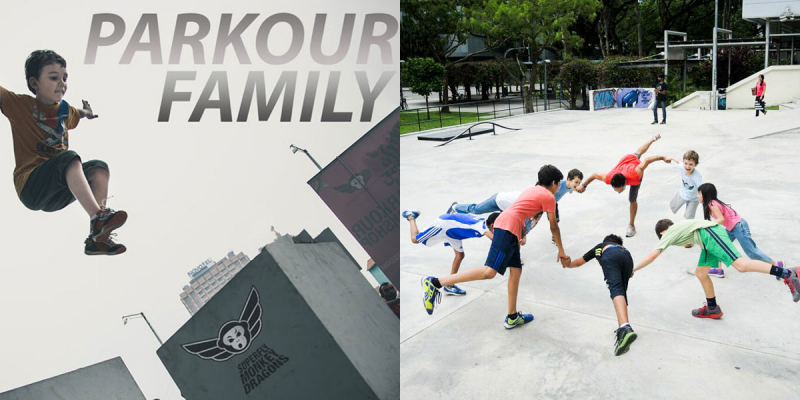 Kids can also take a leaf out of Timmy and Tammy’s book – literally. In the book “Talking to Grandpa about the War“, Timmy and Tammy learn about the war that Grandpa lived through, and find themselves empathising with him. 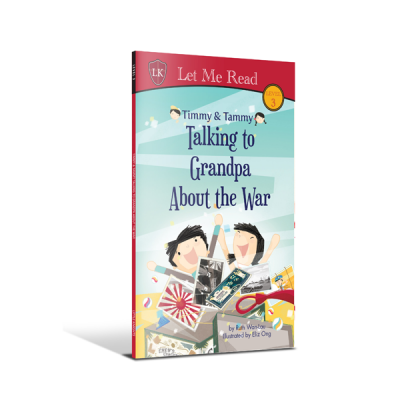 Timmy and Tammy Talking to Grandpa about the War, available from Little Day Out Shop in a set together with three other books for $33.81. 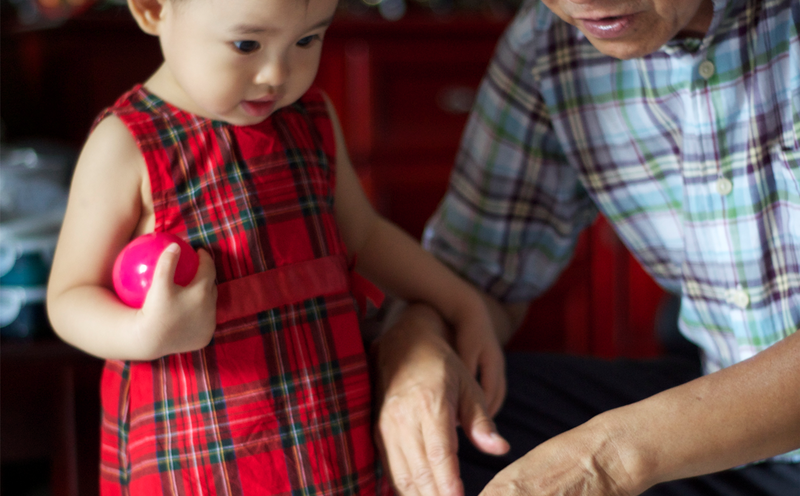 A better understanding of grandparents is the start of a good relationship. When children show their love and concern for their grandparents, every day is Grandparents’ Day. The time has come for the little one to go to primary school. In addition to academic preparations, it’s a good idea to impress upon your child the joy of learning and the excitement of going to primary school. This is the motivation behind the creation of Guide To Primary One Activity Sheets. 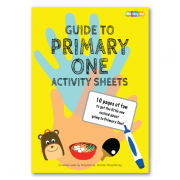 Through creative activities, Guide To Primary One Activity Sheets helps children learn important skills, such as packing their school bags, buying food at the canteen, and getting to school on time, in fun and challenging ways. 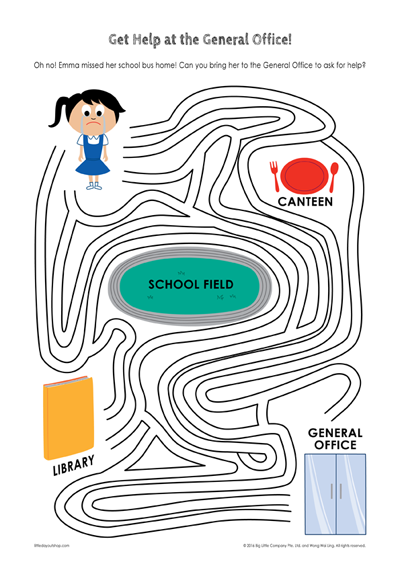 There is a maze to conquer, a creative game set at the school canteen, a secret message from the teacher to decode, and more. Ten fun activities in all! 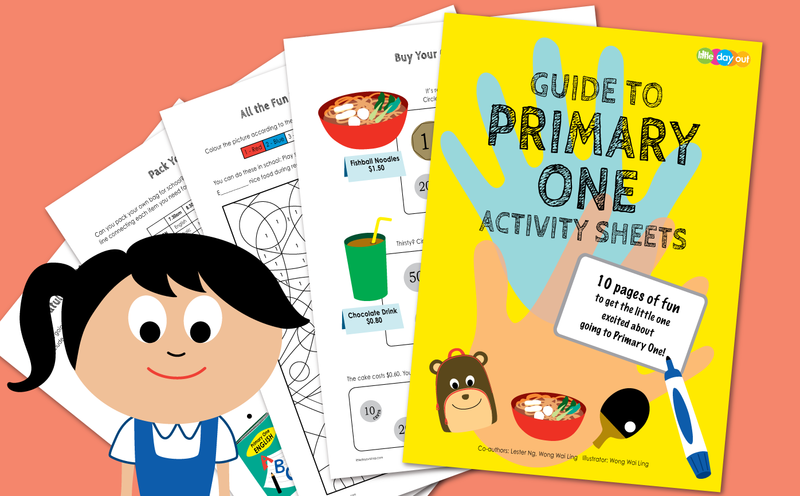 Guide To Primary One Activity Sheets is a collaboration between Little Day Out co-founder Lester Ng and Little Day Out Shop contributor Wong Wai Ling, and is available at Little Day Out Shop for $4 excluding shipping. 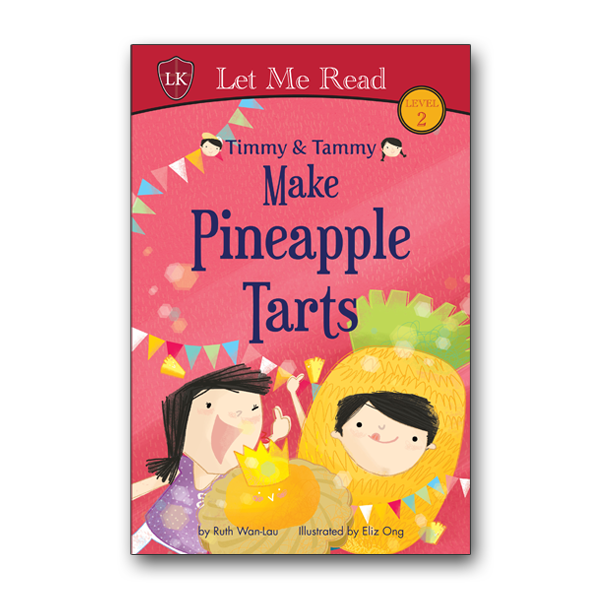 For more tips on adapting to Primary One, check out the Timmy & Tammy Guide To Primary One by Ruth Wan-Lau, also available from Little Day Out Shop. 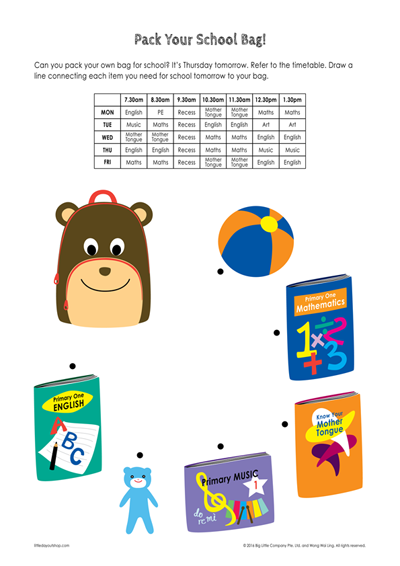 Guide To Primary One Activity Sheets and Timmy & Tammy Guide To Primary One are also available as a set at 5% off their combined prices. Click here to get the set. Here’s wishing the little one a good start to primary school education! If you know many people who’re born in September, it’s no coincidence. September is the month with the most birthdays in many parts of the world. According to a Harvard University study, September 16 is the most popular day of birth in the US. 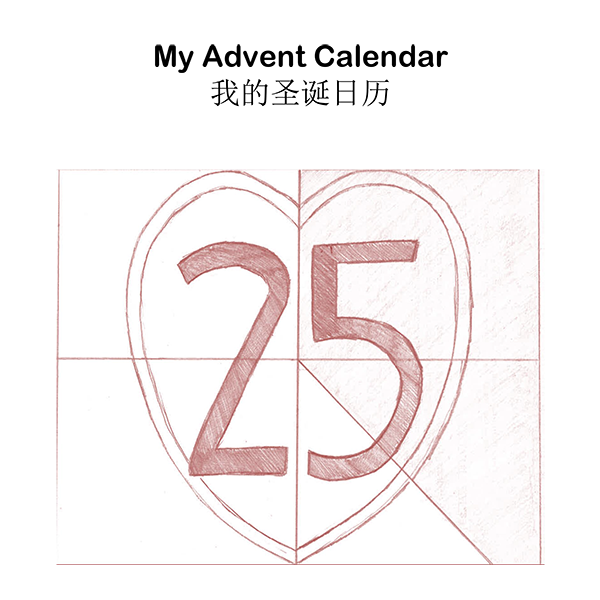 In England and Wales, the favoured date is 26 September. Singapore isn’t that far off either, with the most births registered in October in 2014 and 2015. So if you’re planning a birthday celebration (or celebrations), here’s a unique decoration idea for the junior party animals. 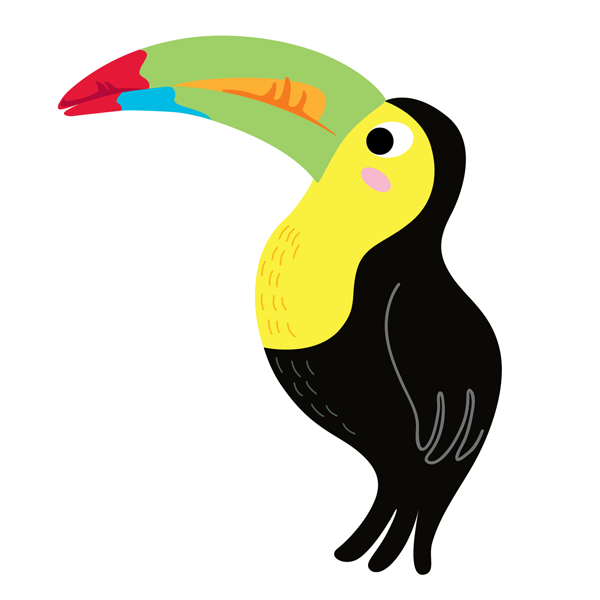 Newly launched in the shop by contributor Wong Wai Ling, this rainforest-themed wall bunting features a mischievous monkey hanging by its tail, a napping sloth hugging a “branch”, a colourful toucan, and a cute wriggly caterpillar, amid leaves spelling “HAPPY BIRTHDAY” accompanied by bunches of tropical flowers. 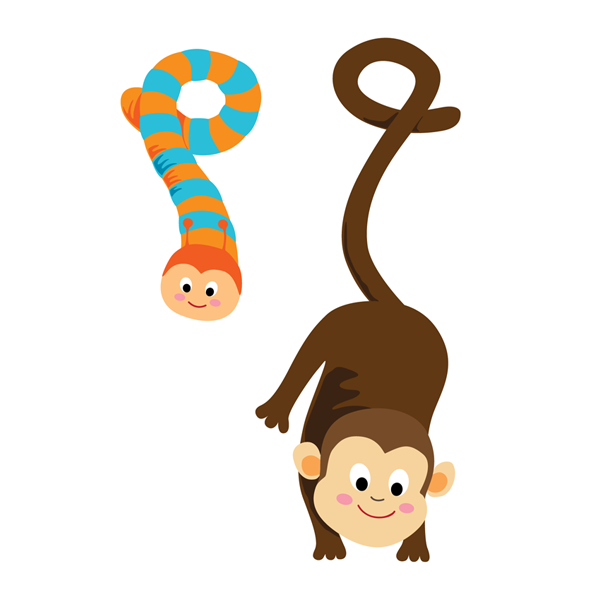 Cleverly designed so the bunting ribbon can be threaded through the loop of the monkey’s tail, caterpillar’s body, and the spaces between the limbs of the sloth, the adorable animals hang or hug with natural ease. Create your own look by determining where you’d like to place the various colourful components. 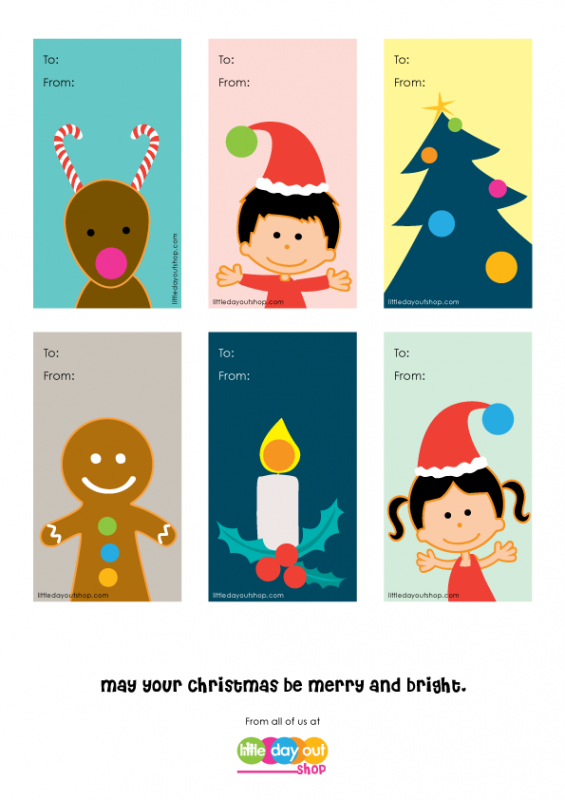 You can customise further by ordering extra letters to spell a name or a special phrase. 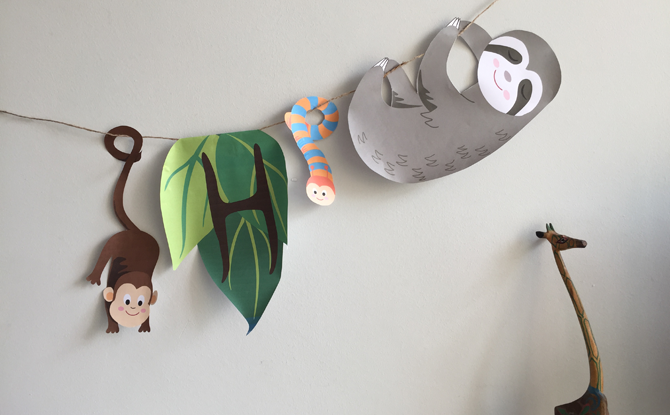 After the party, you can convert parts of the bunting into the little one’s room decoration. 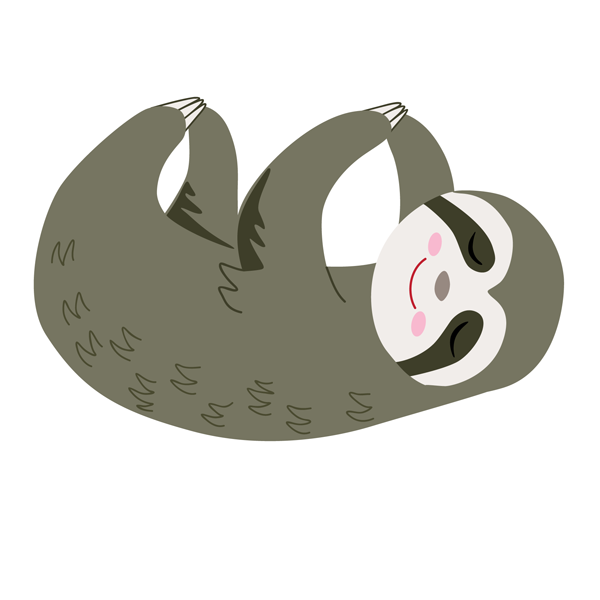 Who knows, maybe having a cute sloth by the bed may inspire longer naps? 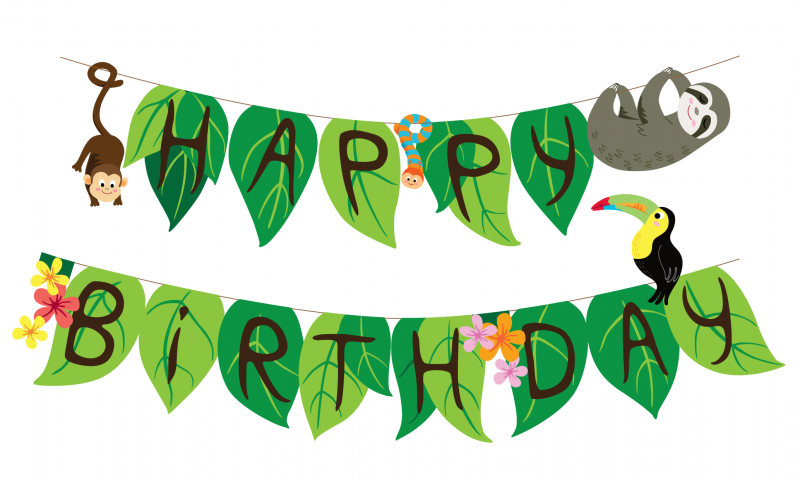 Here’s wishing all September babies a happy birthday! Have a great party! 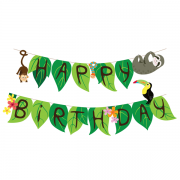 Colourful Rainforest Wall Bunting is available at Little Day Out Shop from $2.50. Check out our other party ideas ranging from choo choo train and melting ice cream buntings, to unique photo booth props and full party packs. Going into September, it seems rather gloomy, with news of Zika, the haze, and circle line disruptions. Chin up! The holidays are here, and we’ve got some exciting recommendations for you. Let’s have some fun with the little ones! 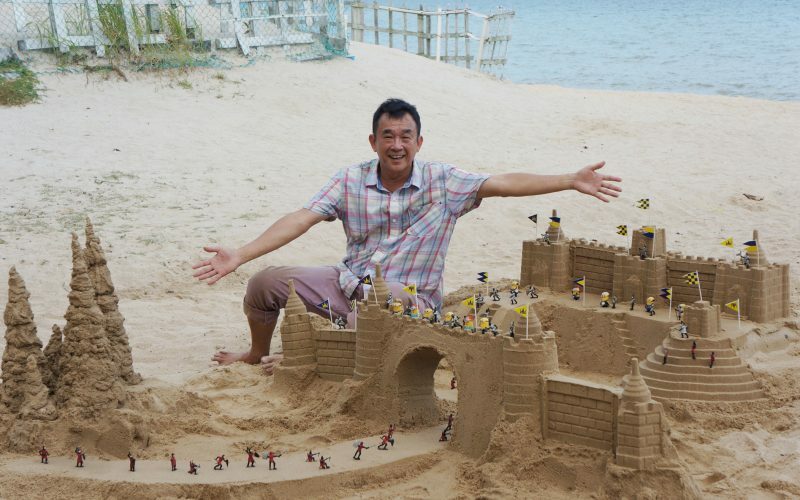 Have you always been amazed by your child’s imaginative drawings? 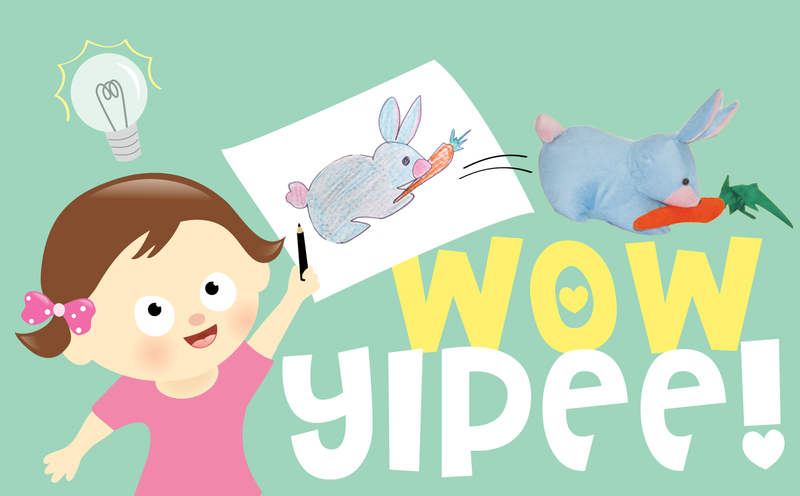 Here’s your chance to transform them into soft toys – three-dimensional, huggable, one-of-a-kind art pieces representing the little one’s creative mind! 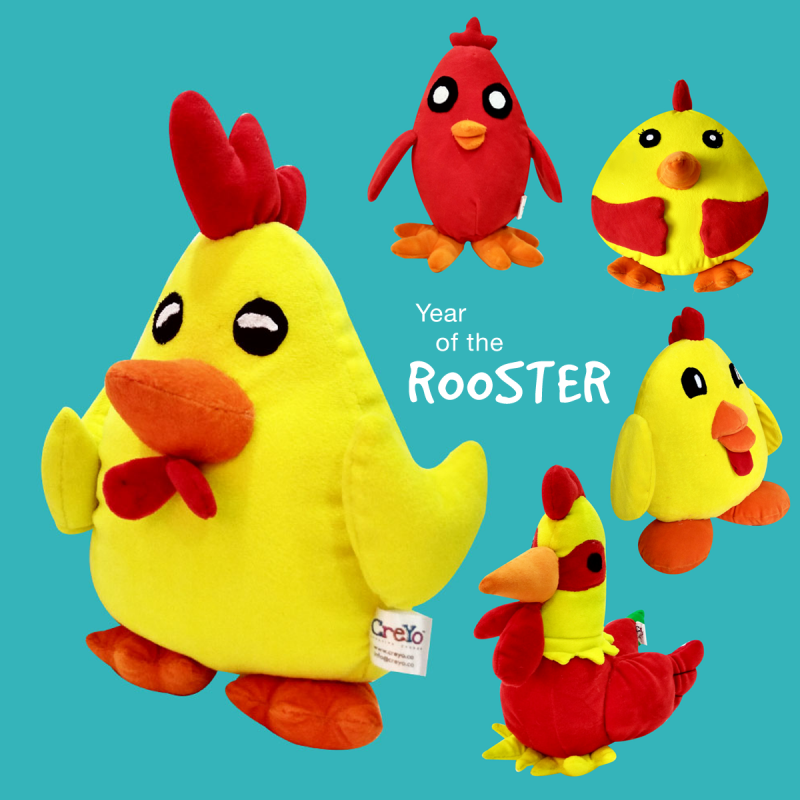 This September, take part in the contest organised by Little Day Out in collaboration with Creyo, manufacturer of customised soft toys. 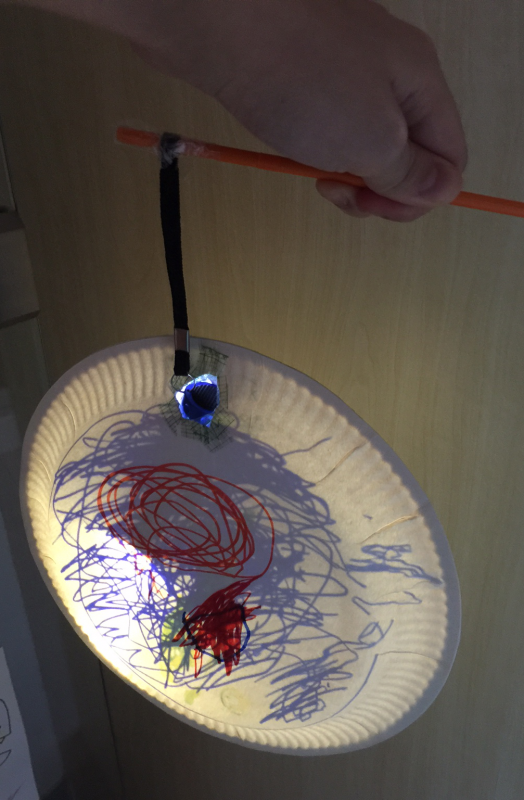 Have your little artist make a drawing and submit it to Little Day Out by 2 October. Three winners will have their sketches transformed into plushies. Get the details here. The September holidays may be too short for an overseas holiday for some. No problem! 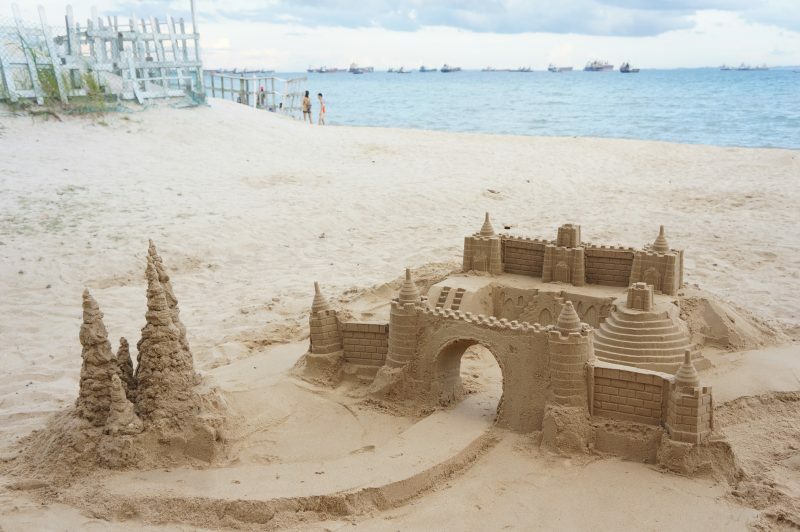 There are still corners of Singapore you may not have explored fully. Take Fort Canning, for instance. Have you been to the archaeological pit there? Or visited the Battle Box, a British command centre located 9 metres underground built in the 1930s? 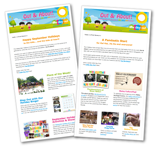 If you’re thinking of rediscovering Fort Canning with the little ones, get Little Day Out Shop’s Fort Canning Park activity pack. 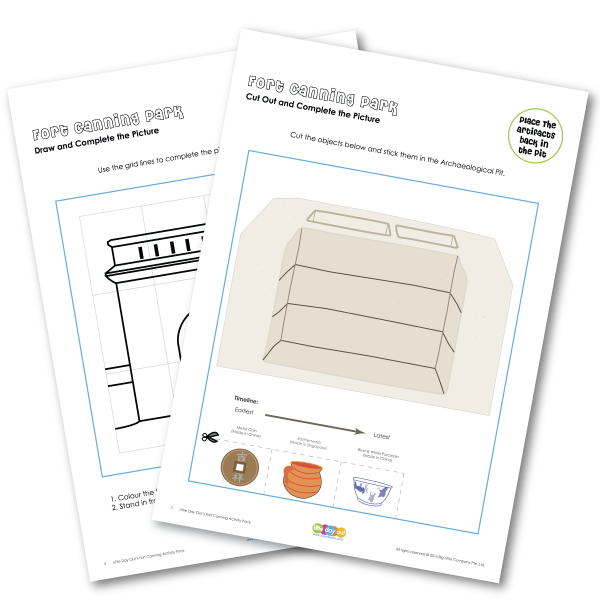 It contains 7 activity sheets to help children observe the surrounds and dive into the historic significance of the park. 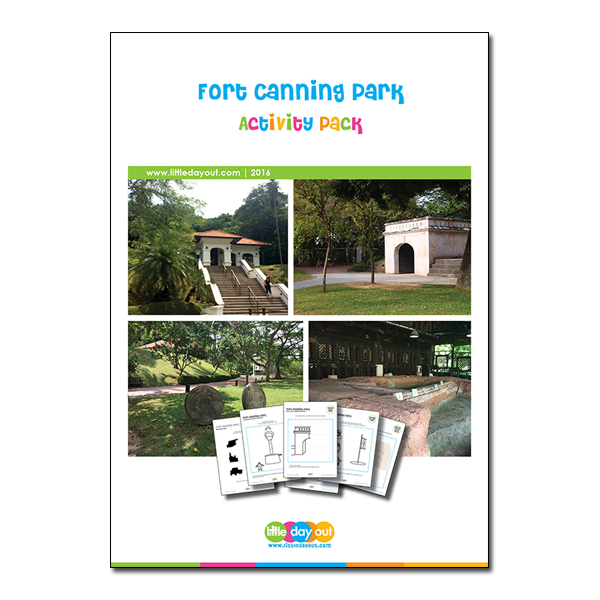 Fort Canning Park Little Day Out Activity Pack is available at Little Day Out Shop for $3.99. On those days you don’t feel like going far, take your child on an exploration trip around your neighbourhood. 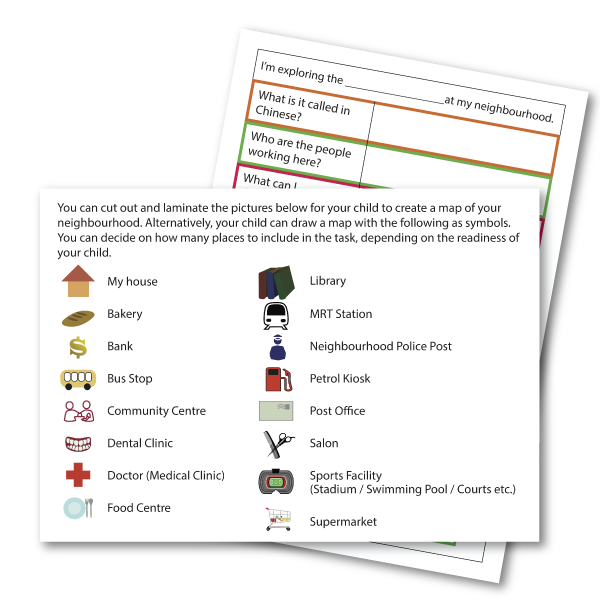 Using Jacqueline Zhang’s Exploring My Neighbourhood activity kit, the little one will have fun learning more about the key facilities and services in your community, and the people who work there. 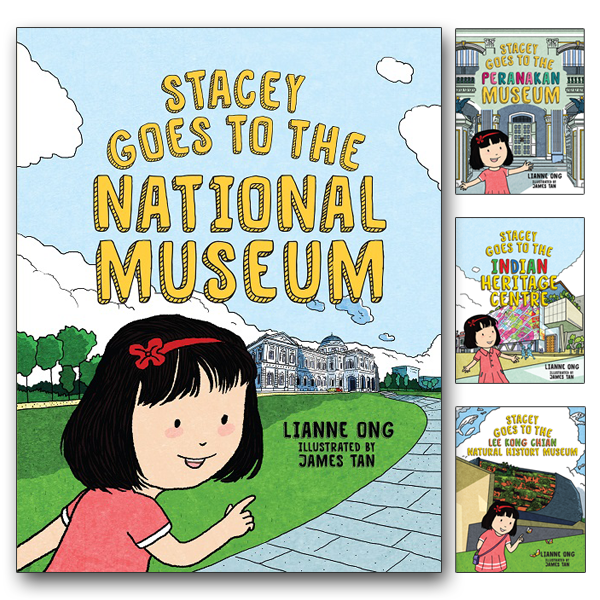 Exploring My Neighbourhood is available at Little Day Out Shop for $2.50. 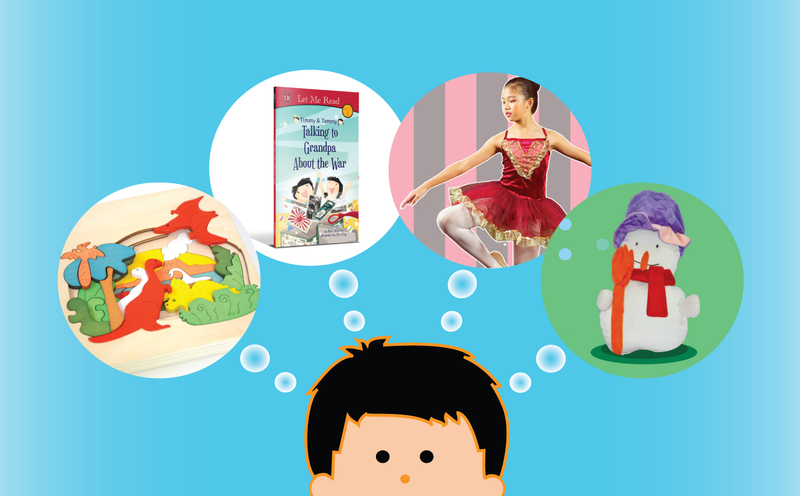 We hope these ideas will bring much fun and cheer to your September holidays. Enjoy the break! 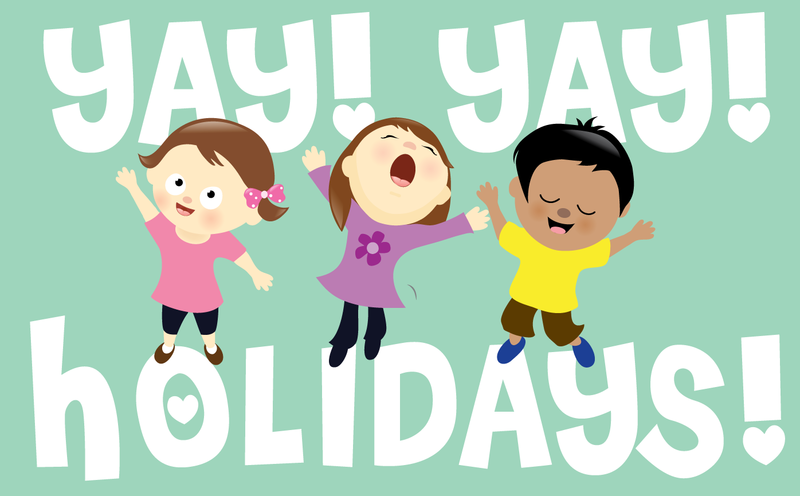 Ah, the short one week break, where schooling kids can have a breather amid their hectic schedules. Kids love their grandparents, but often find it hard to have conversations that go beyond “Eat, Grandma” or “Goodnight, Grandpa”. It could be because of the language barrier, or the generation gap that they assume exists between them and the old folks. 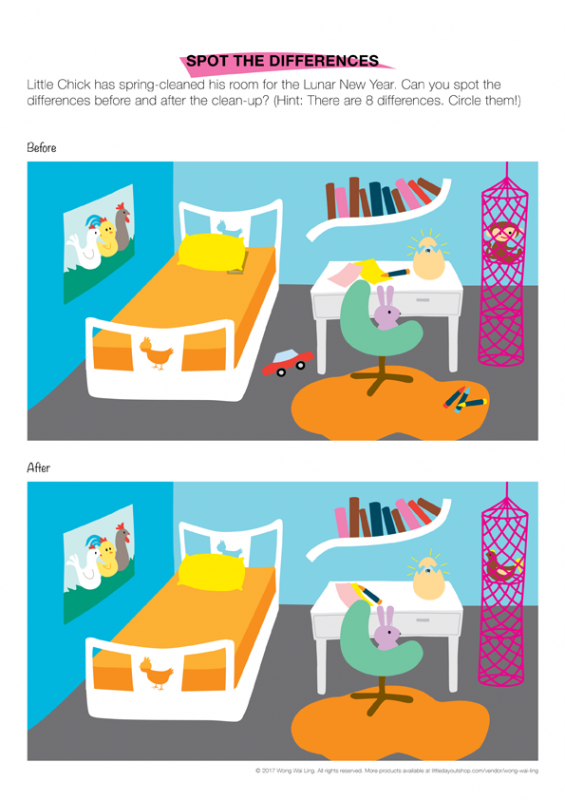 Contributor to Little Day Out Shop, Jacqueline Zhang, has come up with a solution to this problem. 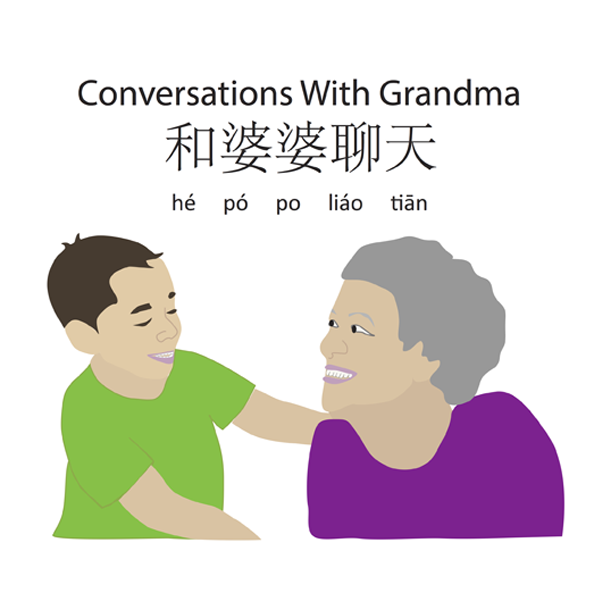 Her latest product, Conversations with Grandma, is a journal that contains conversation cues to help spark meaningful conversations between children and their grandparents. There are 16 pages in the journal, each with a differently-themed conversation topic exploring the past (e.g. where the grandparent used to live and what it was like back then) as well as the present (e.g. what the grandparent’s favourite food is and where it can be found). 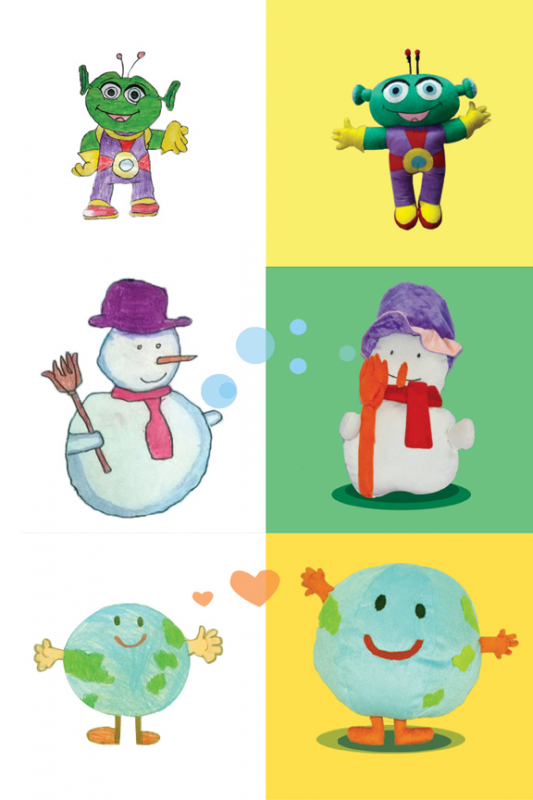 Children are encouraged to record what they have learnt or found memorable on the beautifully designed journal pages. There are even spaces for photographs and drawings. Jacqueline hopes that this activity can be the start of better relationships and wonderful memories. 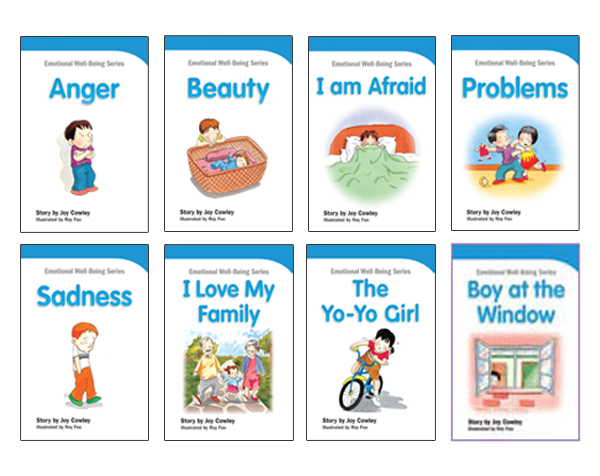 Conversations with Grandma is available at Little Day Out Shop for $4.90. On a day with nice weather, it’s good to have fun outdoors. 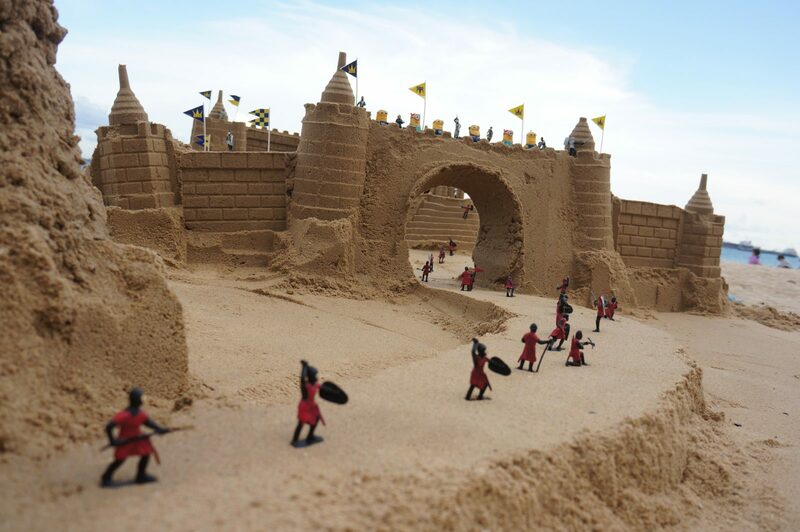 Even better – and more exciting – to be on a quest! The Merlion Park is a good place to start. 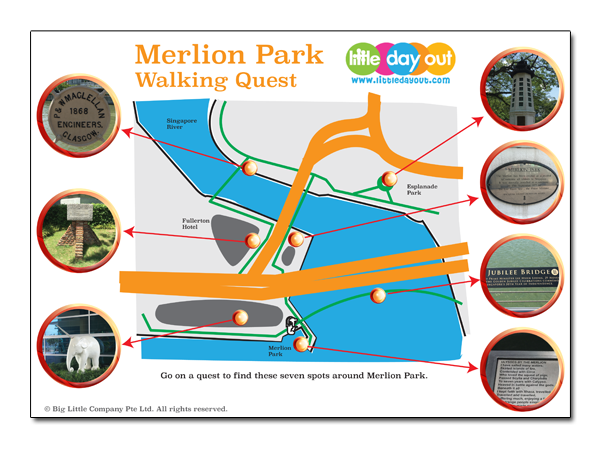 Using Little Day Out’s Exploring Merlion Park activity pack, you’ll have a fun day discovering interesting finds such as the cute elephant with a unicorn’s horn, and a poem about the Greek hero Ulysses’ encounter with the Merlion. 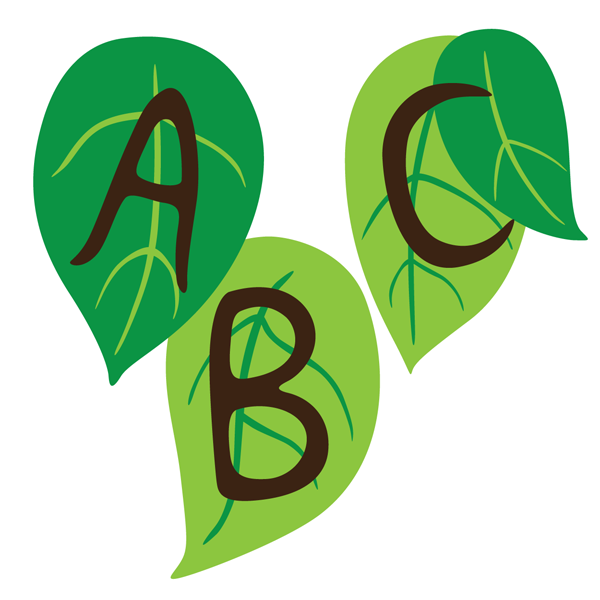 A great activity that nurtures children’s curiosity and observation skills – assets that will stand them in good stead in their schooling and working lives. 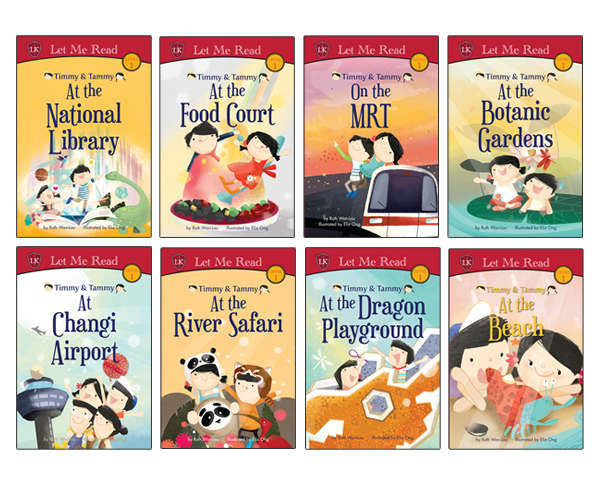 Exploring Merlion Park is available at Little Day Out Shop for $1.50. 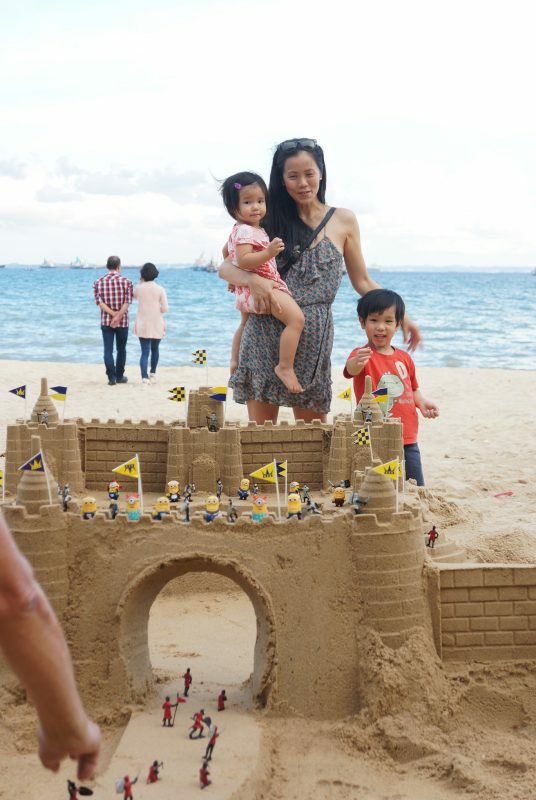 Another exciting way to spend a family day together is to go on a treasure hunt at West Coast Park. 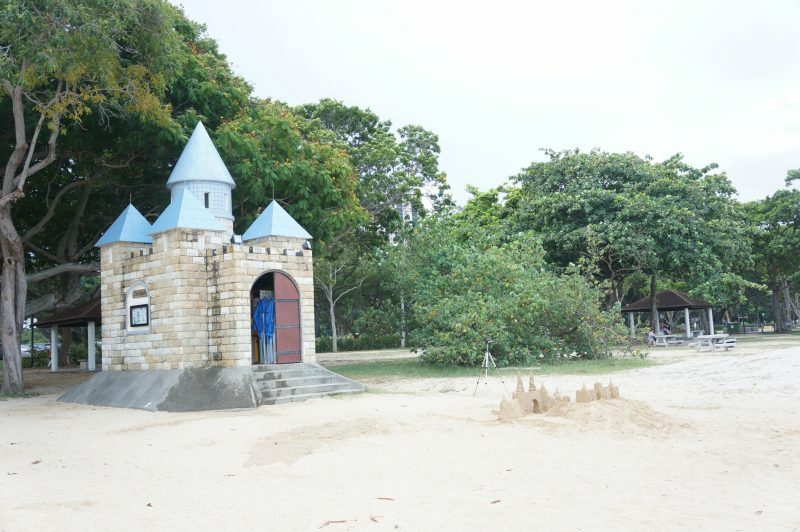 For convenience, use Little Day Out’s activity pack, Mystery of the Missing Goblet (West Coast Park Treasure Hunt), which contains a series of clues that will take players around West Coast Park in search of the Golden Goblet of Gablegon. 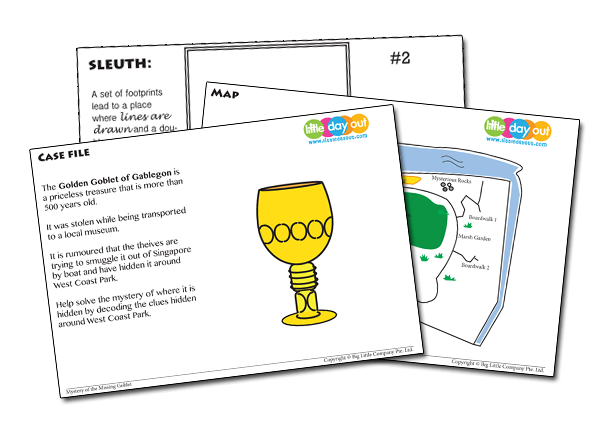 Your little sleuths will have a fun time unravelling the mystery in a test of their analytical and observation skills! 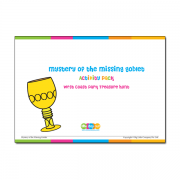 Mystery of the Missing Goblet (West Coast Park Treasure Hunt) is available at Little Day Out Shop for $3.99. We hope you’ll enjoy the September holidays. More suggestions coming up in our next post. Till then!